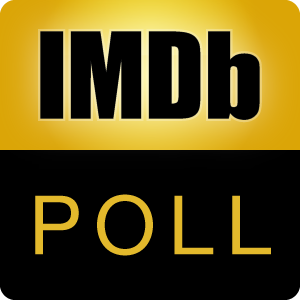 Now that Fargo (2014) is running in its first season, Hannibal (2013) is in its second, and pilots/TV series have been ordered for 12 Monkeys (2015) and The Truman Show, which other 1990s movie classic (from the IMDb Top 250) do you most want to see as a TV series? If none, which one do you think has the most story potential for a full blown series? Discuss the list here. Following the life in Shawshank and those of Andy Dufresne and 'Red' in particular more closely. Each episode could follow the life of one of the 'Schindler Jews' in particular, both before, during and after the war. Forrest led an eventful life with episodes that can surely be woven out further than the few minutes they got in the movie. How about some more stories from The Matrix not involving Neo and Trinity, which we've frankly seen enough of by now? A series following the career of detective Somerset. Who is Keyser Söze? More importantly; what else has he done? Probably more likely to be named 'Mathilda', but really; who wouldn't want to see that? A series based around the life stories of families affected by wars. This milieu surely have more stories to tell. A "murderer of the week" type show following the inmates and guards at the 'mile'. Surely there are many more Lester Burnhams with interesting stories to follow? A 'heist of the week' type series, perhaps? The life story and legacy of William Wallace should be enough to fill a mini-series at least, right? An intriguing series following 1950s LA police stories. In the movie Bill Munny is a retired Old West gunslinger. How about some stories from his heydays? Several shorts and spin-offs have already been made. The sky's the limit for the number of stories that can be thought out for this group of friends. A series alternating episodes between following cops and crooks, culminating in a whooping showdown in the final episode. A series following the London underground. Possibly a series following the stories of other misunderstood child prodigies? The Dude begs more stories. Obviously, a lot goes on in casinos. A daring and witty sitcom about the lives of British drug addicts. A grown up Cole Sear helps lost souls move on. A series following the IRA and the Irish war. Each episode is a new day. Sounds samey? The brilliance lies in the subtle differences, and after all, a day can go in many different directions. A series following the stories of the French suburban "ghetto". The most romantic series ever? A 'party of the week' type series, where there's always someone who ends up making a scene that develops. Another WWII series, this one following the Belgrade underground movement. In the same spirit as the movies, each episode follows a different woman in a difficult spot. Let's imagine Belle was trapped for several years before actually resolving the matter; a lot of stories must have taken place in the mean time. The ultimate series for the dino lovers out there, seriously fleshing out the concept of the movie.